Former Marana Broncos youth football President Steve Leslie Marshall Jr. is accused of embezzling more than $54,000 from the nonprofit youth sports organization. 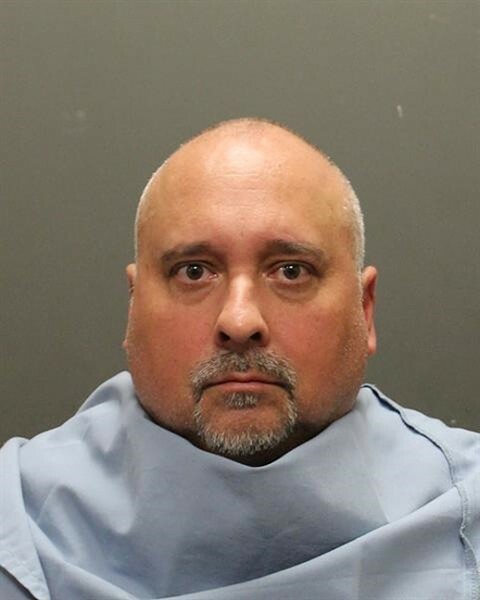 Former Marana Broncos youth football President Steve Leslie Marshall Jr. will be arraigned on eight felony charges tomorrow afternoon. Following a 16-month investigation by the Oro Valley Police Department and picked up by the Arizona Attorney General’s Office, Marshall is accused of embezzling more than $54,000 from the nonprofit youth sports organization. The investigation into Marshall centers around the use of an account linked to the Broncos organization to cover various personal expenses for Marshall and his family. Marshall, an Oro Valley resident who did not immediately respond to messages from Tucson Local Media, resigned as president of the organization during its annual board meeting to decide its leadership last March. According to OVPD reports related to the investigation, current Broncos President Juliette Gutierrez went to Canyon Community Bank to gain access to the organization’s account after Marshall resigned, only to find that Marshall was the only active person on the account. That information evidently came as a surprise, given that organization by-laws require all financial transactions be approved with two signatures. Board members asked Oro Valley police to investigate Marshall in May 2017 after they discovered that Marshall had opened a debit card linked to the organization’s bank account, which was also in clear violation of their by-laws. According to the investigation, some of the items Marshall is accused of using organizational funds on include more than $850 in repairs to a personal vehicle, as well as charges for rental cars, rent payments, dental work and hotel rooms. A board member told the investigating officer at that time that she believed Marshall had knowingly under-reported earnings for the Broncos and provided false information to the Internal Revenue Service. The OVPD investigation references a breakdown of the Broncos’ finances, stating that the organization raised funds through summer football camps, as well as registration fees for the club’s cheerleading and football squads. Multiple interviewees told police they had no idea that Marshall was using the organization’s funds in an improper fashion, as he never told them anything about the charges or opening a debit card and cashing checks linked to the Broncos. According to a police report, a former Broncos general manager told the investigating officer that she thought Marshall was improperly moving money between teams, going so far as to question him on why he was using money to take teams to Florida for a national youth sports championship game. Gutierrez reported the club generated $52,500 from camps and registration fees on average between 2014 and 2017, starting each season with $56,000 deposited into its bank account. The organization also raised funds through an in-season cash raffle, which cost $10 per ticket, with 4,500 tickets distributed, raising an additional $45,000 for the league. In total, the Broncos organization raised $106,500 in 2015, with expenses totaling at $57,732. Tucson Youth Football and Spirit Federation Commissioner Julius Holt and Gutierrez met with concerned parents Wednesday night at Arthur Pack Park, addressing a crowd of more than 50 about several subjects. One such topic was how the federation’s members file their taxes, with Holt assuring the crowd that steps have been taken to ensure that each club reports its taxes through the same accountant, so there are no discrepancies. The OVPD investigation cited multiple Broncos board members and Gutierrez as not knowing exactly where the organization’s excess funds go, with Gutierrez telling the officer that their CPA would file taxes for the non-profit organization, with the CPA giving the teams’ financial numbers to whoever the club president was at the time. Outside of the Broncos organization, Marshall is known in Oro Valley for his work as a volunteer assistant coach for the Canyon del Oro High School football team from 2015 to 2017. He also previously operated a 7-on-7 football team, known as Team 520, which disbanded in 2018. Marshall was indicted on Sept. 13 in Pima County Superior Court with eight felony charges, including fraudulent schemes, forgery and theft.